Here we go - a look back at the past year! January marked my two year anniversary of quitting the day job. I'm so thankful for the opportunity to write for a living. I saw John and Hank Green when they came to Portland, which was fun. 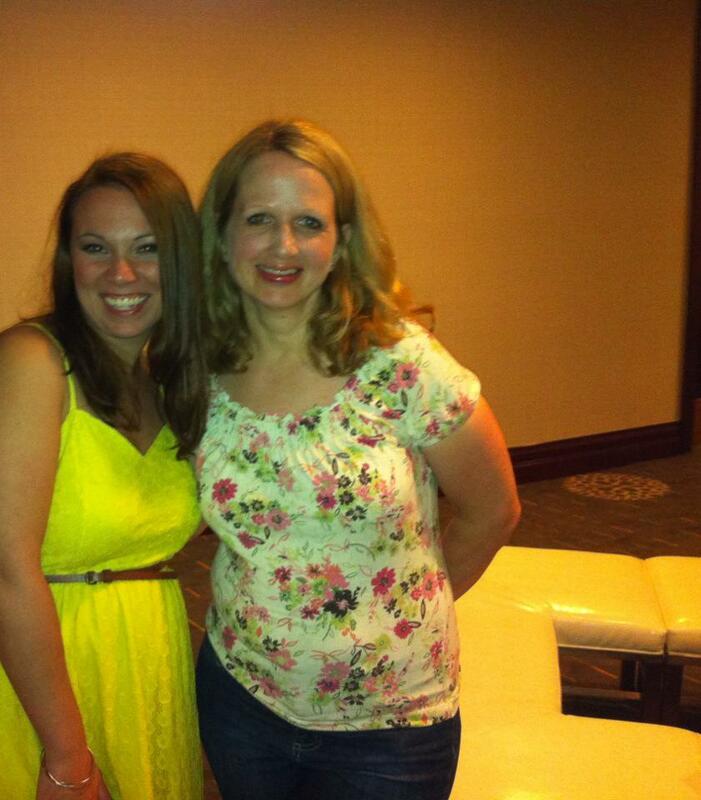 But mostly, I remember being sad in January because my good friend, Suzanne Young, moved to Arizona. On a positive note, The Day Before was an Oregon Book Award finalist! I spent a long weekend in Utah at a writing retreat with friends Lindsey Leavitt, Rachel Hawkins, Emily Wing Smith, and Irene Latham. I was working hard on revisions for Falling for You at the time. Seems like just yesterday we were writing and talking and getting milkshakes and watching the finale of season 2 for Downton Abbey, and now Falling for You is out! Me? A cupcake judge!? AWESOME! 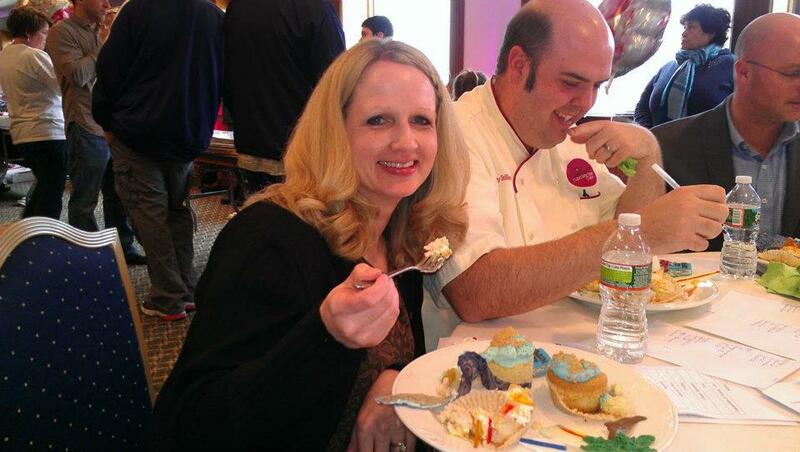 I took an amazing trip to Rhode Island to be a part of Cupcake Madness, an annual fundraiser to raise money for Hazard Castle. I signed books and ate cupcakes. And the weather was incredible, so I even spent some time before the event on the beautiful beach. A great trip! To round out the month of cupcakes, I sold a third book to Aladdin, called Frosting and Friendship, coming out September of 2013! 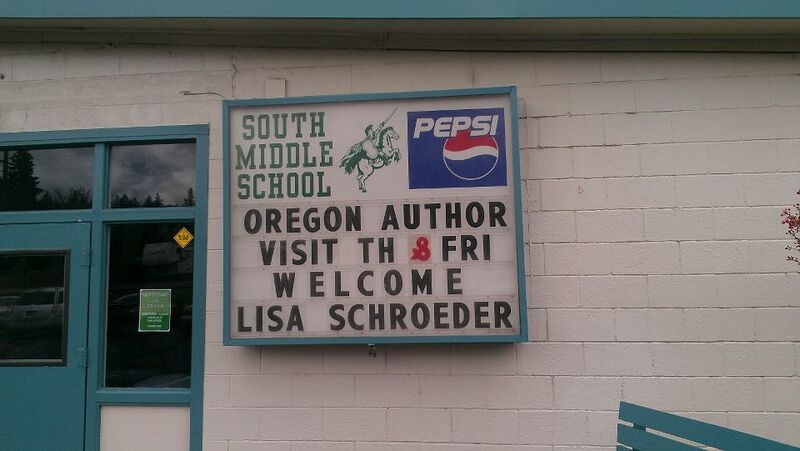 I drove four hours south, down to Grants Pass Oregon and had a really fun school visit at South Middle School. The librarian, teachers and kids were AWESOME! 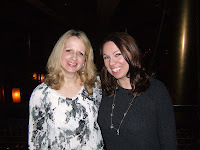 A couple of weeks later, I flew to Chicago for the International Reading Assoc. conference. Deep dish pizza - mmmmm. When a teacher outside of Chicago e-mailed me in early April about visiting her school, I had to see if we could tie it in to the trip I already had planned for IRA. It worked out beautifully, and the visit at Blackhawk Middle School was a huge success. I did three presentations for each of the grades and signed lots of books. 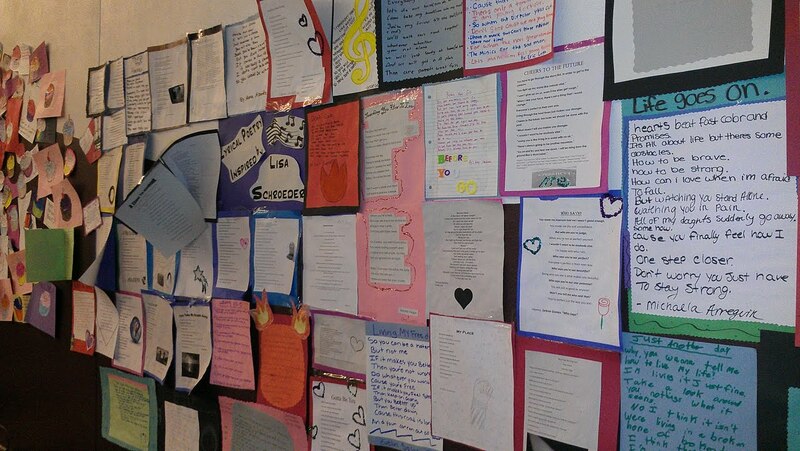 This is a picture of a wall of poems the kids wrote after reading one of my verse novels. The Day Before came out in paperback and ARCs for Falling For You were ready. I went to the American Library Assoc. 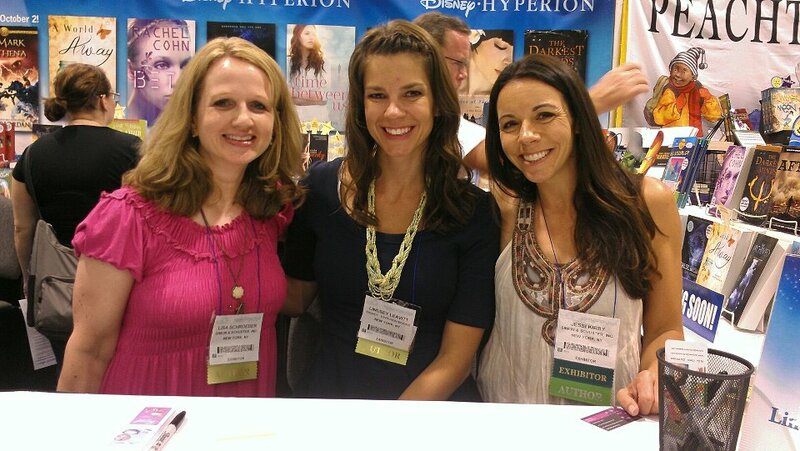 conference (ALA) in Anaheim where I participated in the YA Koffee Klatch and signed ARCs at S&S's booth. Here I am with my buds Lindsey Leavitt and Jessi Kirby. Love these girls! After that, the family and I took off for a vacation in Maui. June was a very, very good month! My oldest son had his wisdom teeth pulled the end of July. And I spent most of the month revising a manuscript that ended up not selling. Disappointing, yes, but in the long run, perhaps it's for the best. July was not the best month. You win some, you lose some, right? I flew to L.A. to hang out with friends at the SCBWI conference. We had a blast! We ate good food, we brainstormed plots, and we danced the night away on the patio. I came home and started work on a new manuscript. August made up for a crappy July. Spent most of the month working on a new manuscript. Sprinkles and Secrets came out in paperback. 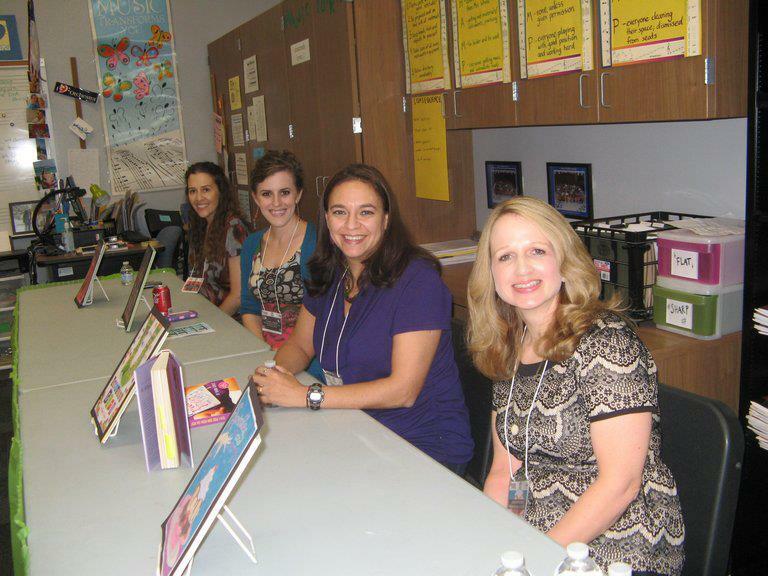 Tweens Read is an all-day book festival specifically geared toward 5th - 8th graders. I feel so fortunate to have been a part of this great event. It was an awesome day where I participated on a panel and signed books. Here I am with authors Diana Lopez, Claire Legrand, and Shana Burg. While lots of other writers participated in Nanowrimo (National Novel Writing Month), I worked on a secret something-something. And I got 20,000 words written on a new YA manuscript that I'm very excited about. I'm hoping to work on this and maybe finish it in January. In 2011, I sold a fantasy middle grade novel to Henry Holt. December was the month of editorial revisions for that novel. I worked really hard on them, and I think the book is better for it. 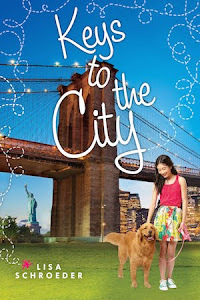 I hope soon we'll nail down a title, and that 2013 brings more news about this book that I can share! I also got some good news I can't share yet - hopefully soon! Overall, it was a good year. A fun year. I did enough traveling that it kept things interesting while I wasn't so busy that I couldn't write. I did write quite a bit. There will be less traveling and more writing in 2013. Probably more writing than I've ever done in a year - and that will be the challenge. I'm excited and terrified!! 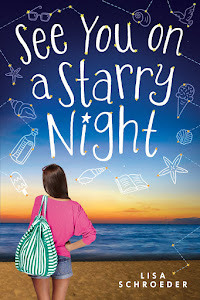 2013 also brings two new releases for me - Falling For You, my fifth YA novel, and Frosting and Friendship, my third MG novel. I'm so thankful for my readers, who have supported me over the years. Thank you for allowing me to make a living at this writing thing. It's hard work a lot of the time, but it's also a lot of fun. Here's to a happy, healthy, and prosperous new year for everyone! Wow, Lisa, talk about traveling. That is awesome and I really like your month by month breakdown of what you did! This is such a great idea to break out the year by month to reminisce. So excited about your new books (Cupcakes is popular in my school and with my kids). I'm looking forward to writing more in 2013 as well. I am afraid 2013 is going to be the year I have to chain myself to the desk. Tell you more about that when I see you!! SOON! Sounds like an awesome year to me, Lisa! Congrats on all of your successes and here's to many, many more! Thanks Katy! Yes, it was a good year. Wishing you a wonderful 2013! Wow, what a year! You go, girl! Sonia, I only wish our paths had crossed at some point. Would love to see you again!! I love this picture of your year. I sometimes wonder how people who have been at this for a while work from month to month. This is a great way for me to see a writer keeping balls in the air while creatively working some new ones in. I wish I had it figured out. I feel like I am always fighting for the writing time. I do know that I've found some months will be big writing months and others won't be, and that's okay. I always read your blog posts in my reader and am always amazed at all the fun stuff you do! Someday I want to travel as much as you! Maybe when the kids are older. I'm super excited for more books! Can't wait for your news! Upcoming Events - Please come see me!